Right now there is not an entry in the SSA’s Blue Book listing of disabilities manual for the painful, debilitating medical condition known as fibromyalgia. Also called fibromyositis and Myofacial Pain Syndrome, fibromalgia is, quite literally, a nerve-wracking condition that can have severe mental and physical effects. Fibromyalgia and Disability Benefits: Should You be Working? If you have fibromyalgia and work for a living, you might be wondering if you should continue to work. The pain can be insufferable and the infamous “fibro fog” can be debilitating. Currently there is not an entry in the Social Security Disability's Listing of Impairments (Blue Book) manual for the painful, often debilitating medical condition known as Fibromyalgia. 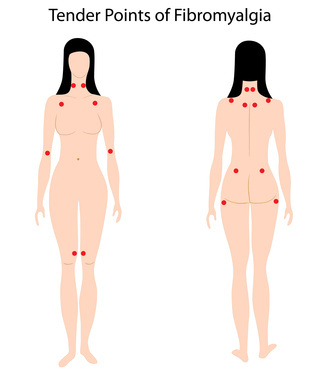 Fibromyalgia is also known as fibromyositis and Myofacial Pain Syndrome. Nevertheless, many claimants with fibromyalgia apply for disability and go on to win their SSDI benefits. For this reason, the fibromyalgia disability claimant who's been denied should not throw in the towel; instead, they should pursue their disability claim through the appeals process with the aid of a qualified disability advocate, like those at Disability Experts of Florida. Our advocates are experienced in dealing with claimants who have conditions like fibromyalgia, . They understand how the process works and what the SSA is looking for and how to better chart a course for sufferers who are seeking to improve their lives.